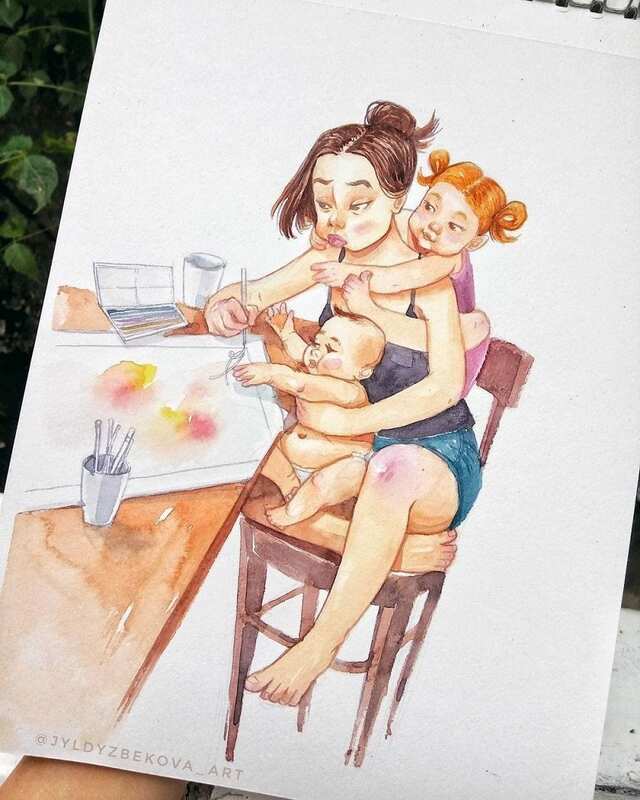 Artist and mom of two girls Jyldyz Bekova uses her talents as an outlet to share some of the more frustrating – and lovely – everyday moments that occur in the life of a mother. It’s not until you become one, after all, when you understand that privacy is a thing of the past. As is cooking in peace, showering without an audience, or sitting on the couch without becoming someone else’s recliner. 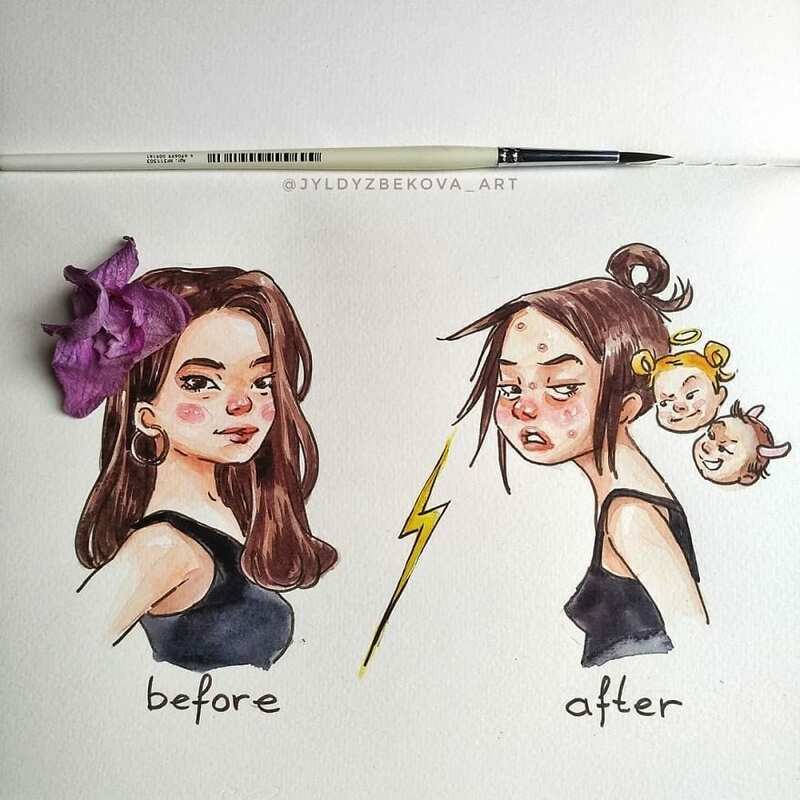 Her images are funny and relatable, and I’ve chosen 9 of my favorites below. 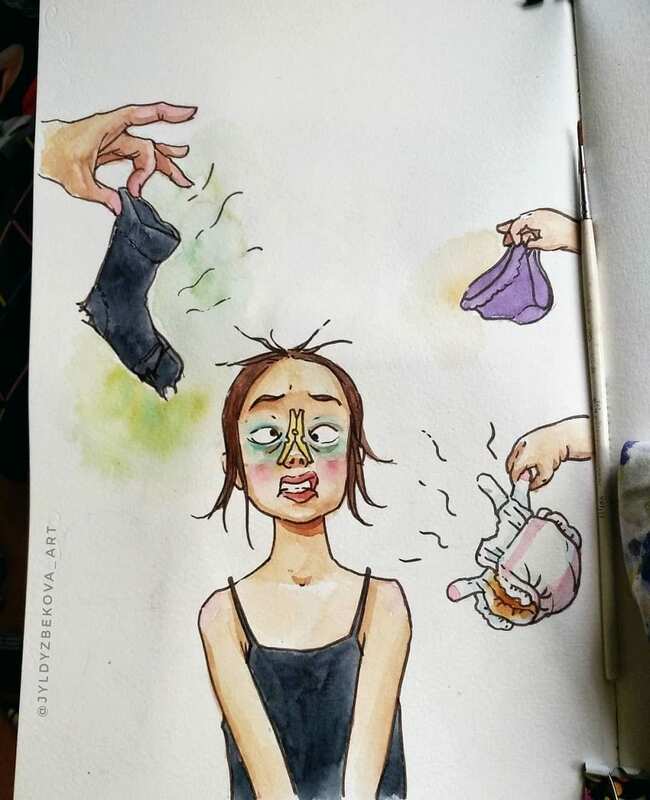 Make sure and follow her on Instagram for more! #9. 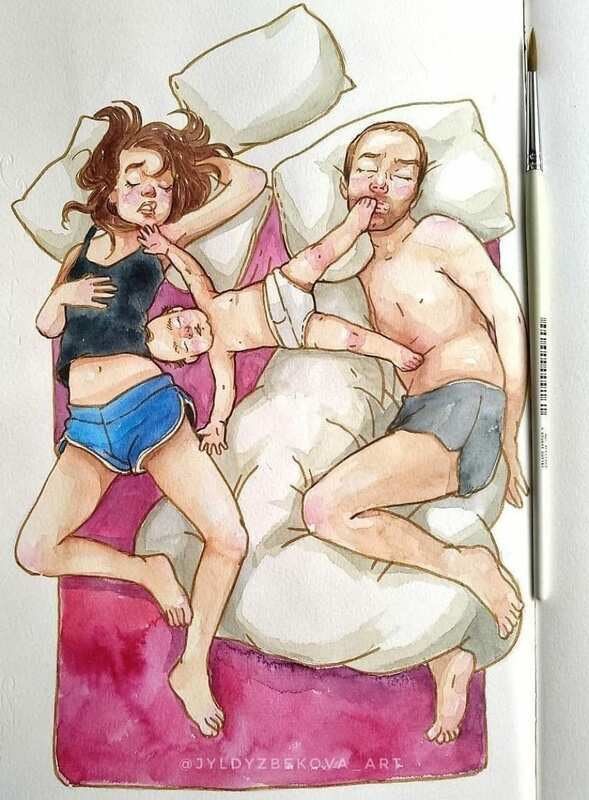 Co-sleeping at its finest. #8. 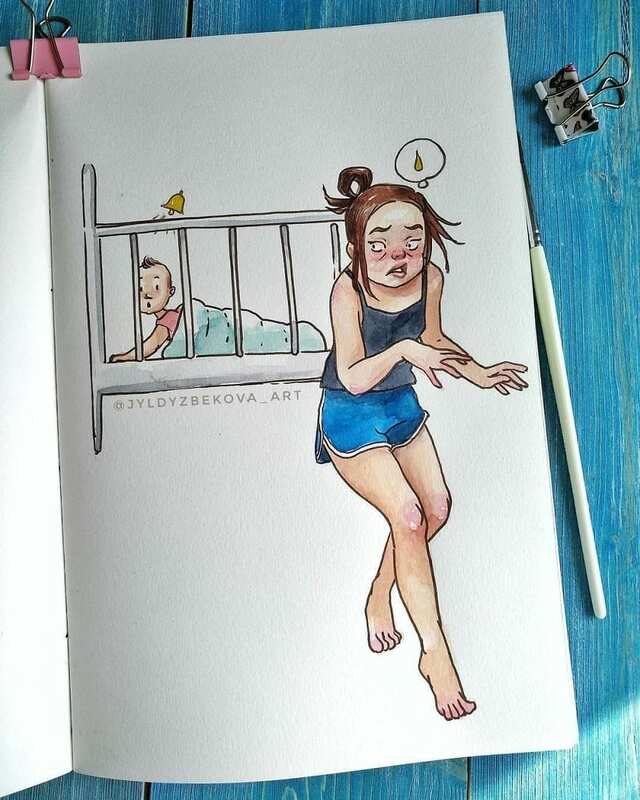 The great Mom sneak out. #7. Some days it’s hard to even remember she existed. #6. 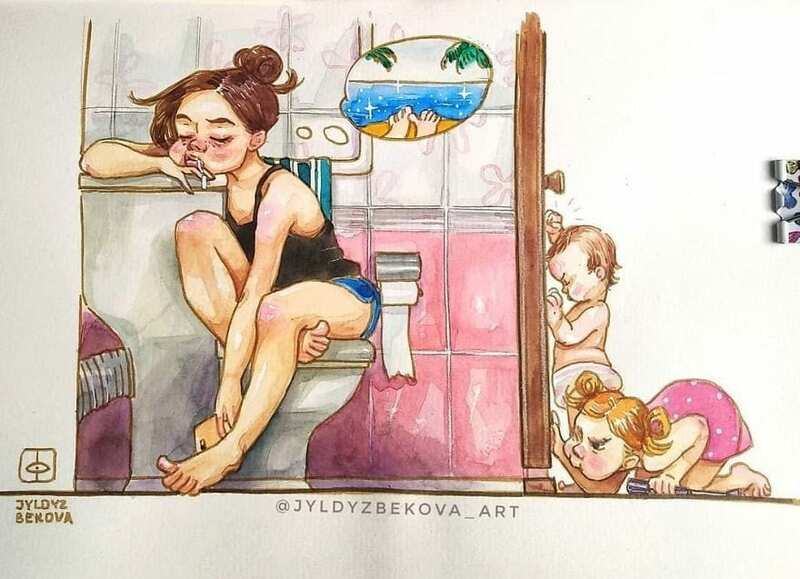 Motherhood does have a distinct smell. #4. 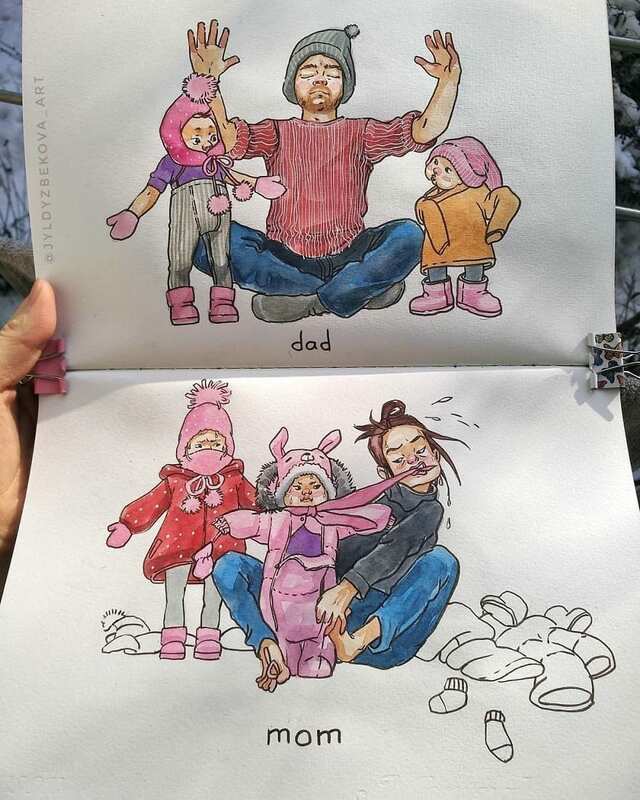 Super Dad, of course. #3. 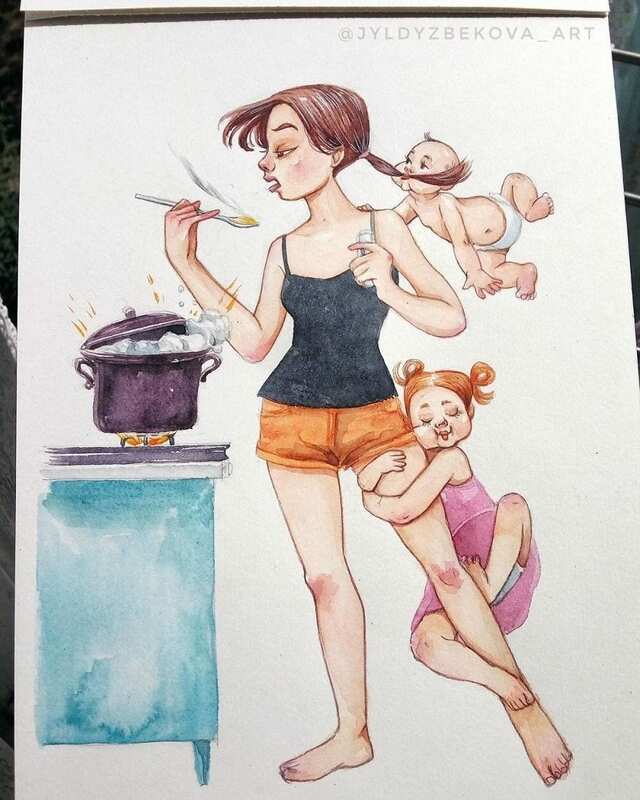 Cooking with kids is a whole different life skill. #1. 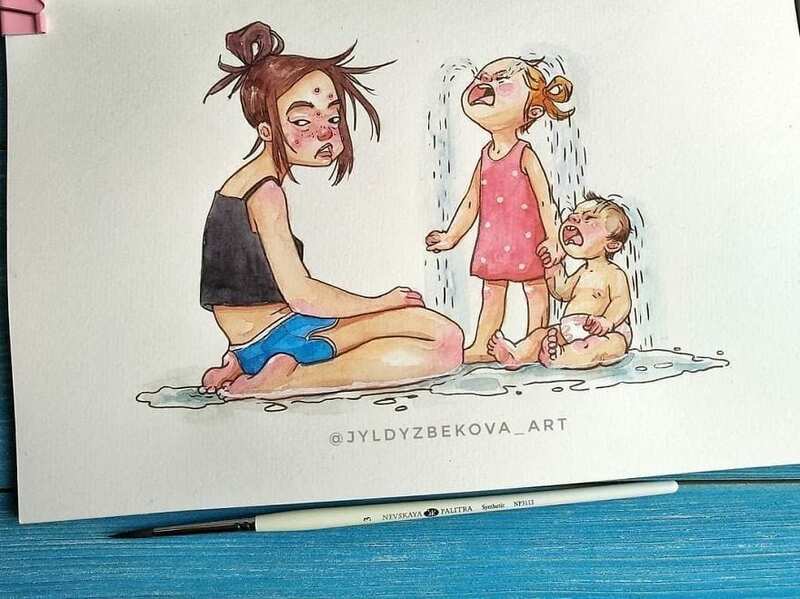 Work-from-home moms know the struggle is too real. You gettin’ it, moms out there?